International negotiations that have lifted a longtime ban on tequila in China will have big implications for Mexico — and are likely to benefit fledgling producers and distributors in Texas, too. SHANGHAI — A whiff of tequila may conjure images of blue-green agave fields in the Mexican countryside, a raucous Texas dance hall or even a college frat house after a homecoming game. But there’s a new tequila haven emerging across the globe, and it’s the most populous city in the world — Shanghai. China is already the largest and fastest-growing market for alcohol of all kinds, but pure tequila was banned until June, when Chinese President Xi Jinping signed a deal with Mexican President Enrique Peña Nieto that reconciled a decade-long tension between the two countries. They signed several deals on trade, energy, mining, intellectual property and, of course, tequila, the latter of which opened up a promising new market. But the negotiations also have implications for Texas and for the American market. Mexico is the United States' third-largest trading partner, with $500 billion worth of imports and exports combined in 2011, according to the Office of the U.S. Trade Representative. This makes Texas, the nation's No. 1 exporting state since 2002, a pivotal player in international business — beyond just tequila. Since the China-Mexico negotiations, tequila has become popular in westernized cities such as Shanghai, Beijing and Hong Kong. If current trends continue, manufacturers predict China will soon become the second-largest market for tequila. Without the recent deal inked in Mexico City, though, the expected growth would be just another entrepreneurial pipe dream. And it’s not just the Mexican companies that are benefiting from the brand new market. Dulce Vida Spirits, an Austin company founded in 2008, has recently launched its own marketing campaign in China, and has import distributors in cities like Beijing, Hong Kong and Shanghai. “It’s truly a greenfield opportunity over there,” said Richard Sorenson, the six-year-old company’s co-founder and CEO. With only 10 employees, Dulce Vida is the first small player — and definitely the only one from Texas — to sell Tequila in China, Sorenson said. But other small companies from Mexico and the U.S. alike are sure to follow suit. Total alcohol consumption in China is projected to reach roughly 84.4 billion liters by 2016, reflecting an average annual growth rate of nearly 6 percent. Historically, the national spirit of choice has been a strong grain-based alcohol called baijiu. But in recent years, other beverages have caught up. In 2012, red wine and beer were the most popular alcoholic beverages — but spirits, namely tequila, are fast on their heels. For years, the Chinese government prohibited tequila's entry on sanitary grounds, claiming that it was a risk for the public due to its high levels of methanol. All imports were limited to its cousin, mixed tequila, a fangless version of the drink made from sugar cane. But today, any tequila is fair game. The Regulatory Tequila Council in Mexico estimates that in four years, China will become one of the world’s leading tequila consumers — ahead of Mexico and just below the U.S. Projections suggest that by 2018, tequila exports from Mexico will rise from just below $5 million in 2013 to $100 million, and Chinese consumers will drink about 10 million liters of tequila, the equivalent of five Olympic swimming pools. With the approval of the Mexican government, tequila producers and their worldly distributors now tackle the daunting task of building a network of new customers in the Chinese restaurant and bar industry. Four nights a week, Robert Hamilton and his fellow 20-something alcohol distributors hit the Shanghai party scene with strategic precision. They know what hot spots to hit, the hidden places with the best drinks and the VIP clubs popular with the in-crowds — all in the name of spreading the gospel of tequila. Dxcel International is a distributor and intermediary for imported booze in China. It represents virtually every type of alcoholic beverage manufactured by big brands from around the world, including Stella Artois, Hoegaarden, Jim Beam, 1921 Tequila and Jose Cuervo. “I guess you could call us the ‘Cuervo Guys,’” said Hamilton, 25, a company executive. The Cuervo Guys — a group of slick young American, British and Chinese executives fresh out of college — have been entrusted by Dxcel and Casa Cuervo, Mexico’s biggest tequila producer, with getting a slice of the fresh, barely tapped market in the Far East. “We go out, make connections, talk to the managers and let them know about tequila because it’s a new drink to the market. What we’re doing is educating them about a product they’re really not familiar with,” Hamilton said. Dulce Vida’s marketing strategy in China is less glitzy, functioning on daytime hours. But it's just as tactical. 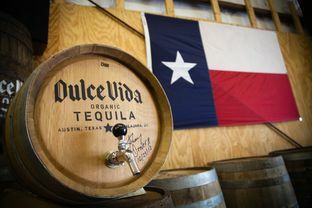 The company’s distributor, Austin native Jacob Papermaster, said he has laid the groundwork for Dulce Vida's official Chinese launch in July, the month of Shanghai Tequila Week. So far, Dulce Vida has been testing the waters with small shipments of its product. Since June, Papermaster has been fostering relationships with bar owners and mixology experts to develop tequila drinks suitable for Chinese tastes. “We’ve been well received, to say the very least,” Sorenson said. 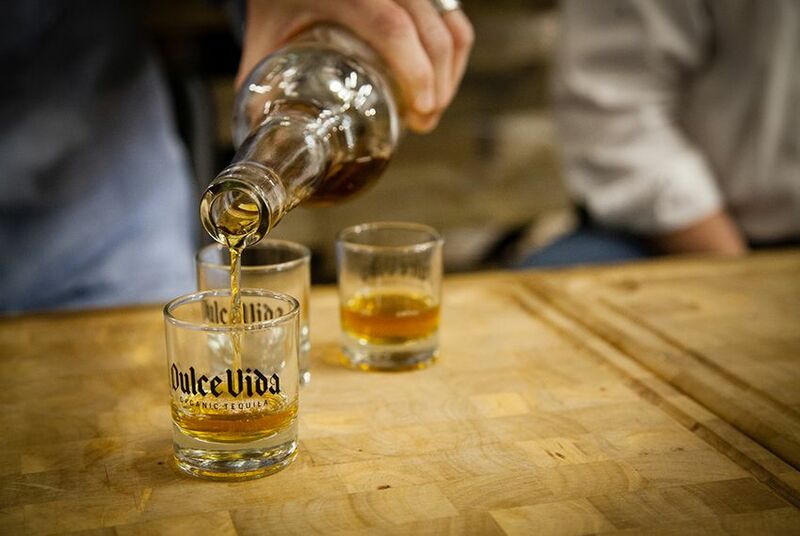 The first large shipment for Dulce Vida’s debut will arrive by May. Then, in August or September, a new product will be introduced — the five-year aged Añejo, a “pet project” that Sorenson anticipates will be a success in China because of the popularity of barrel-aged spirits there. Like Hamilton, Papermaster’s base of operations is Shanghai, where restaurants with names like El Luchador, Cantina Agave, Mi Tierra and Maya have recently popped up offering Mexican cuisine — and tequila shots. “It’s like a small but delicious conquest,” a Mexican diplomat joked in Spanish. He was involved in the long negotiations that preceded the final government approval of tequila, but declined to be named because he is not authorized to reveal trade strategies. For Mexico, the tequila ban long meant that one of its most lucrative products was prohibited in the world's biggest alcohol sales market. At the industry’s prodding, informal talks on the subject dragged on for the past decade, even when Mexican authorities perceived China as more of a diplomatic threat than a business opportunity. Preparations for a historic consumption spike are already underway. In Tequila, the town in western Mexico that shares a name with the drink, thousands of new acres of agave are being cultivated. It will take five to seven years for them to mature completely. In a rare joint operation this summer, one year after the market opened, the Mexican government and the tequila industry will launch a marketing campaign designed to introduce tequila to Chinese consumers. The campaign, titled “Tequila, Mexico’s gift to China,” already has a logo: two dragons. On the left side, it’s the Chinese variant of the mythical animal. On the right, is the Mexican equivalent — the Quetzalcoátl. For the underdogs back in Texas, tapping into the Chinese market means relying on quality rather than name recognition and ad campaigns. “We won’t be buying billboards and magazine ads soon, but you’ll see Dulce Vida in the lockbox behind the bar,” Sorenson said. And its home — Austin — will be on the label. Correction: A previous version of this story said tequila consumption in China was projected to grow to 84.4 billion liters a year. That is the number for total alcohol consumption in China. Also, Mexico is the third-largest U.S. trading partner behind China and Canada, not the largest. This story was produced in partnership with Milenio, a daily newspaper in Mexico. Milenio reporter Victor Hugo Michel reported from Shanghai and Mexico City. Tribune reporter Cathaleen Qiao Chen reported from Austin.